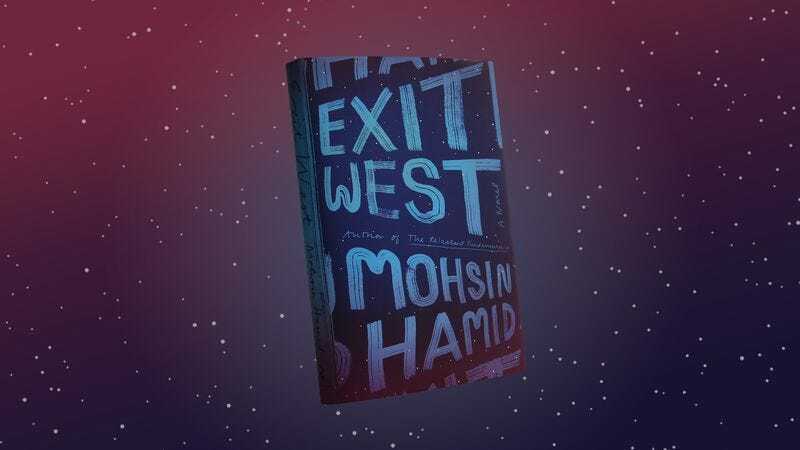 In an astonishing synthesis of political commentary and vivid imagery, Mohsin Hamid’s Exit West is a commanding yet fanciful outlook of the current climate of global immigration and international xenophobia, as told through the poignant love story of those caught in between. The story follows Saeed and Nadia, curious and drawn together through likeness and wonder, thrown into a domestic war between their reigning government and rebel forces. Saeed, spiritual and kind, finds Nadia mysterious and hidden, while she, secular and calculating, falls for Saeed’s tender words and softer touches. As their love and relationship grows, their city begins to crumble around them. Through indirect yet lyrical language, Saeed and Nadia’s home remains unclear throughout, but seemingly parallels that of the Taliban and ISIS involvement in the Middle East or Northern Africa. With this more transcendent feel to the novel, it relies heavily on equivocal but meaningful terms to narrate the underlining themes. It is as if to say it does not matter the “where” or “when” but rather the “how” and “whom.” Hamid’s point is not telling one story as he does, but rather Saeed and Nadia’s story could be that of many. They come from a city of war, destroyed, unrecognizable, and broken. And now, they move west. They pay to leave through a door. With Saeed’s mother murdered and his father shattered by loss, the two find one of the many doors that have opened up throughout their home for a price. With the same beautiful and inexplicit rhetoric of their city, the imagery of the door and escape extends slightly to that of magical realism. “It was said in those days that the passage was both like dying and being born, and indeed Nadia experienced a kind of extinguishing as she entered the blackness…” In every escape, there is nothing more than entering and exiting through the shadow of a door. This is one of Hamid’s main identifying qualities in his writing. These doors hold power and are mystic and are more than desired. It reappears again and again, but is hardly elaborated further than a blackness that Saeed and Nadia tumble through. Hamid’s avoidance of any realism is deliberate and careful, but it never veers far from the very immediate and continuous danger the two must live through to escape. While there is immense beauty in the journey, there is never a lack of substance beneath it all. Gliding through door after door, Saeed and Nadia experience labor camps, angered nationalists, and communities of refugees exiting as far west as they can go. With ease transforming into tension, their relationship hardens and cracks as they move farther from home. They begin to experience their circumstances and struggles with different understandings and philosophies. While their lust for each other dies quickly, their love manages to stay adrift if only to protect each other, but even then, it falters. In slow, heartbreaking moves, Hamid explores the fragility of relationships and, in doing so, the strides taken within the bonds of dependence and time. 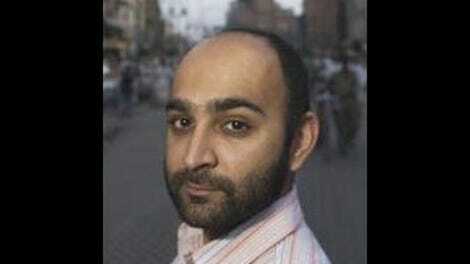 It is this balance of physical and emotional movement that Hamid writes best. In every exit, through every door, humanity suffers a great deal in between. Relationships within span far and wide, they are strained and broken, and at times, never healed. But also, never elapsed. When leaving Saeed’s father behind, Nadia promises to keep his son safe. She feels guilty because she cannot protect the father now as he stays home in war, and she does not know enough of the future to protect his son. “For when we migrate, we murder from our lives those we leave behind.” And as Hamid later promises, we take from our lives those who continue along as well. And yet, Hamid continuously falls back on several interjections throughout the story. He fails to completely trust in what Saeed and Nadia bring to the narrative. There is a woman in Australia, a man in Japan, an elderly gentleman in Amsterdam, and several others all functioning as an outlet to reinforce the overall meaning of Saeed and Nadia’s story arc. Unfortunately, these come to the reader intermittently a few pages at a time, feeling loosely linked and relatively unimportant to the narrative. Though at times lyrically done, it is needless to a story that already encompasses so many raw and transcendent qualities alone. Even with the occasional lapses in narrative, Hamid has crafted an incredibly moving antidote to the unseen world of refugees and immigration in Exit West. He masterfully embarks on a journey through the eyes of two lovers. In bringing them together in war, he unravels their tensions in seeking out peace. Saeed and Nadia become all those who exit west—those who leave behind what has remained and those who never fully return to what was. It is a beautiful rendering of the lives hidden in the folds of war that illuminate those caught within the blackness of doors. Purchase Exit West here, which helps support The A.V. Club.